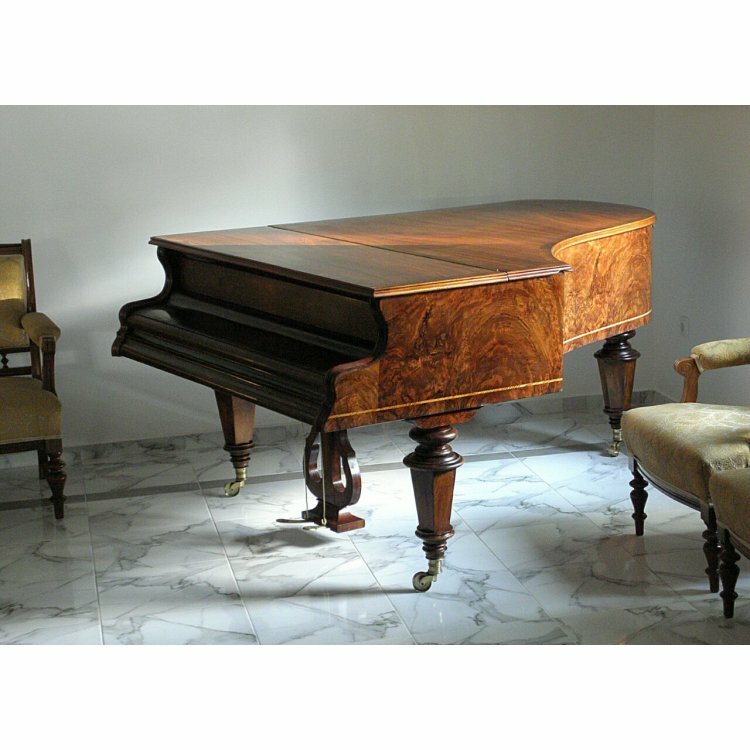 This is a rare Antique Matuschek Baby Grand Piano built in Vienna during the “Golden Age” of European piano building. There is very little information known about Matuschek, but we do know that it was a smaller, family owned firm in Vienna, Austria during the late 19th and early 20th Century period.These small baby grand pianos were not popular in American until well after 1915. It is very difficult to find a Victorian style grand piano under 6 feet long, making this instrument very desirable to someone who wants the 19th Century look but only has space for a smaller instrument.The piano has been restored, inside and out, bringing it back to its original “new” condition while maintaining as much of its antique integrity as possible.This piano is made of a richly-figured exotic walnut wood and a rich rosewood sides. Precise year of manufacture is unknown it is somewhere between 1885-1890.